The Refrigerator is one of the essential appliances, especially during summers. Whether to keep the drinking water and beverages cold, maintaining the foodstuffs as well as vegetables refreshed for a long time, and getting your favorite icy desserts, is as simple with this technological appliance. But what if you get all these features in a compact one? Say thanks to the Mini Refrigerators/ Compact Fridges for home which is all the new technological invention that offers the same benefits like the standard refrigerators. The specialty of these compact mini refrigerators is a lot more. The best we can count is its small size that makes it the ideal choice for us. Although these mini appliances have a limited space to keep your drinks cooled and groceries refrigerated, but they do it perfectly the same way like a full-sized refrigerator. And thus, these are proving to be an excellent addition if you have the lack of space. Also, the mini refrigerators for home are portable so you can take it along with you wherever you go and get your icy chilled beverages and refreshing snacks whenever you want. Now when it comes to the type of mini refrigerators, there are a lot of options. Let’s have a detailed look at the different types of compact mini-refrigerators. 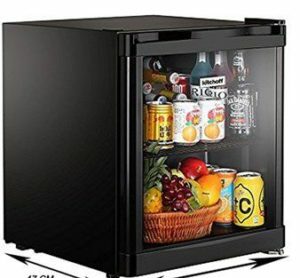 Cube Refrigerators- These are the most common type of mini fridges that looks like the cube. This small unit ranges from 11.5 to 2.1 cubic feet. Featuring the lightweight, these models are easily portable from one place to another. The best part of this type of mini refrigerator is that these are the less expensive models so you can easily opt for it if you don’t want to spend more. Medium-Sized Mini Refrigerators- These mini refrigerators for home are quite expensive than the cube mini fridges but come in the larger size than the former ones. Here you can find more shelves as well as a bigger freezer section to pile up more of your stuffs. Counter High Mini Fridges- This compact fridge is the most expensive type but is also the most energy efficient. If you want to stock plenty of foods and drinks, this one is the perfect option. This one comes in both the single and double door (with a separate freezer compartment) options. Drinks Mini Refrigerators- These type of mini refrigerators serves only the purpose of storing drinks, beverages, and snacks ready to consume. But they are comparatively smaller in size. Travel Mini Refrigerators- These are specially made for traveling purpose, even lighter in weight so that you can easily carry it along with you. You can keep your drinks and foodstuffs cool with this type of mini refrigerator while traveling. A good mini refrigerator can do a lot more rather than keeping stuff cold and fresh. The first and foremost consideration before you opt for a mini fridge should be how much space you are available with? Also, you must consider how fast is their cooling capacity, their noise level, their energy star ratings, etc., etc. Here we have a lined up some other most important points you must keep in mind before buying a mini refrigerator. This is the most important thing to consider if you are planning to buy a mini refrigerator. Mini refrigerators for home come in different sizes having different storage capacity. So you can opt for the one according to the storage space you need to store the stuff. Since mini refrigerators come in different sizes, you must pick the one that is easily portable from one place to another, especially if you are a traveler. It means go for the light in weight option so that you can make it move from one place to another very easily. Some models of mini refrigerators contain freezer also, so if you need to keep ice and frozen treats on hand, you must buy the one having freezer option. A small compartment of the freezer is there where you can keep the ice tray, ice-creams, and other frozen delights. Power Consumption is another important factor which should be considered before buying any electrical appliances. Always go for the energy rated fridges with the highly efficient cooling system. Remember that the larger mini refrigerators consume less power than the smaller mini-refrigerators. It is quite really a challenging task to pick the best mini refrigerator as the market is full of a lot of brands and models. 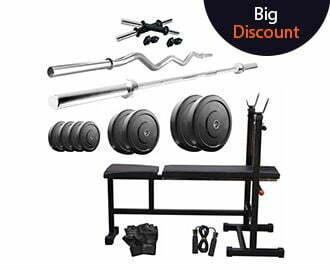 But don’t worry, we have made your task easier that will help you in choosing the best one for all your need and budget preferences. 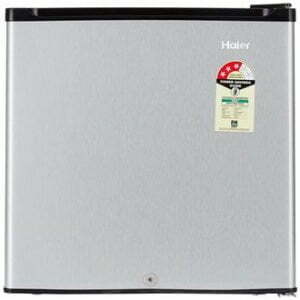 We have compiled here the latest and best models of mini refrigerators for home. So, Just go through our best picks to select the best one accordingly. 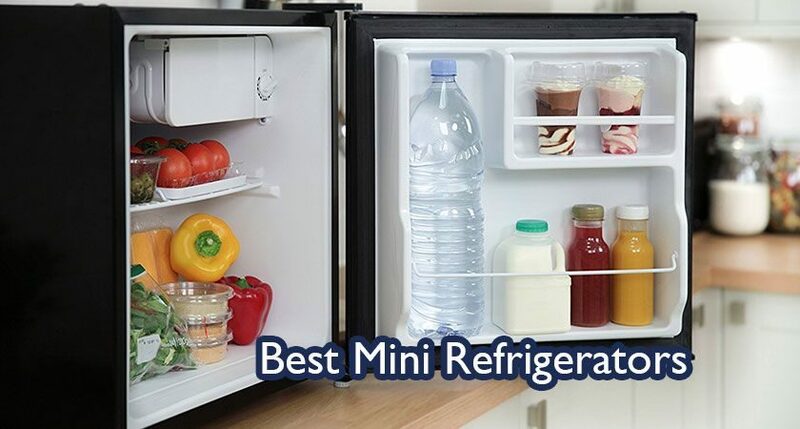 Now just have a detailed look at the full review of each our best picks for mini refrigerators for home along with their specifications and buyers feedback as well. This compact and convenient mini refrigerator is a perfect combination of both style and excellent performance. Its advanced technology offers the best cooling. The capacity is 52 L that makes it an excellent choice for hostlers, and even best for the bedroom and offices. It comes with a 3-Star energy rating and thus efficiently saves energy without any compromise in performance. 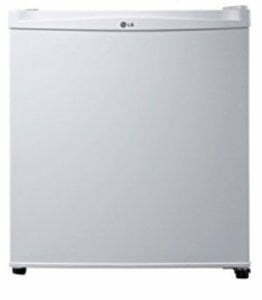 LG is a renowned brand that is famous for the quality for a variety of home appliances. And this single door mini refrigerator from LG is the perfect combination of style and performance. Inside the fridge, you can get enough space to stock items like bottles, cans, fruits, and snacks, etc with extra long freshness. This small refrigerator is also equipped with powerful cooling technology that gives you the best cooling experience. This compact refrigerator from Mitashi is absolutely easy on pocket if you have a tight budget and want to get all the features of a standard refrigerator. This one is perfect for a small family as well as best to use in hostels, offices, etc. This mini refrigerator is featured with direct cooling system ensuring faster and optimum cooling and superb thermodynamic performance at low cost. It comes with 2-Star energy rating that saves both energy and money. This mini refrigerator from Kitchoff offers you the best and fastest freezing utility. With 50 Litres of capacity, this one is perfect enough to store the beverages, drinks, snacks, and other foodstuffs very easily. You can use it in your home, office, bedroom, etc to get the chilled stuffs ready to consume. It is equipped with the toughened glass shelf to withstand even with the heavy loads. The best part is its absorption and compressor technology that keeps your home and work area energy efficient as well as environment friendly. 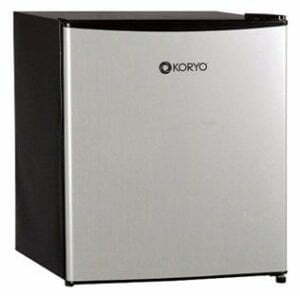 This mini refrigerator from Koryo comes with a number of unique features that makes it an excellent choice to buy. It comes with 1 hour ice prepared technology. The four-star energy rating makes it more energy efficient and power saver. It also comes with toughened glass shelves that can bear heavy loads of up to 120 Kg. This compact fridge also has the wet management technology that intelligently controls the wetness to keep fruits and vegetables fresh for long time. This is all about our best picks for the compact mini refrigerators for home if space is constraint for you and you need to fulfill all your refrigeration needs. I am sure this buyer’s guide will definitely help you in picking out the best one of your choice. All these are energy efficient models, so don’t worry about the high electricity bills. And also don’t forget to mention the comment about the blog in the comment section below.